Ebborn Law is improving the way people access justice by providing legal services using smart technology. We particularly wish to thank Spark Business Canterbury, Ricoh and P&L Ltd for their technical support, along with our social service partners who have contributed much to the development of VLaw™. 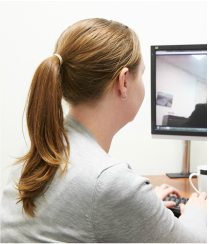 Part of the VLaw™ system is a Direct Video Linkage pilot with Battered Women's Trust in Christchurch. Along with partners Spark and Ricoh, a dedicated communication system has been established with the Trust's office that allows for victims of domestic violence to meet with a lawyer without having to come into our offices. The key principals we adhere to when delivering legal services over the World Wide Web are that the quality of service must be equivalent to standards experienced by our ‘regular’ customers, and; that special consideration must be given to confidentiality and privacy issues, and the correct identification of clients. Whilst any Ebborn Law client can access our lawyers using VLaw™ system, priority is given to those people who normally would have difficulty accessing a Family Legal Aid or FLAS-registered lawyer. 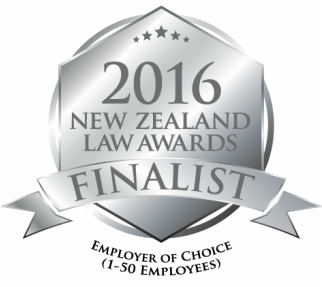 Certain areas of New Zealand, such as Central Otago, the West Coast, Nelson and Marlborough are examples of where VLaw™ has proven useful. Clients must have access to video and audio transmission equipment and a suitably high speed internet connection (ADSL is acceptable, VDSL2 or fibre is preferred). In some instances Ebborn Law will have agreements with specific agencies or organisations to deliver priority service to their clients. VLaw™ has also been used to provide family law services to remote parts of New Zealand, even as far as the Chatham Islands and Australia! The experience is relaxed and very easy, and much of the paperwork can be completed electronically. Ebborn Law is currently in negotiation with a variety of agencies about supporting their clients using the VLaw™ system. If you deal with vulnerable people and have trouble finding family lawyers who will provide the Family Legal Advice Service, or Family Legal Aid, then contact Jarrod Coburn on (03) 339 2233 or email here.